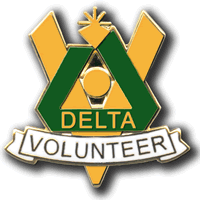 Delta encourages and supports volunteerism throughout the Municipality. Meet new friends, gain skills and make a contribution to your community. Click on the left menu to see a list of current volunteer opportunities from Delta's various volunteer areas. Visit http://www.delta.ca/volunteers to learn more about volunteering in Delta. Get involved in our community, Volunteer in Delta!